We're glad you stopped by! Frostproof is quite a special place, and we love the work we do to help support and spread the word about all that Frostproof has to offer. If you're looking to relocate, find a winter or vacation home, visit one our many lakes for some sport-fishing or relaxation, or to sample some of the food & fun our town boasts, we want to be your resource for finding exactly what you're looking for. Be sure to sign up for our email newsletter to help you stay informed. We hope to see you around town and let us know if there is anything we can do for you! Lightsey Electric is an electrical contractor that does service work and new construction in residential, commercial, and industrial. Check out her Facebook page Hair by Penny to book your appointments and for more information. 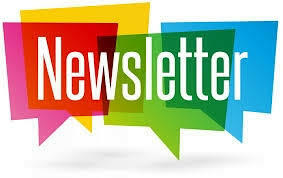 The newsletter has information on upcoming Chamber and Community Events. The Frostproof Area Chamber of Commerce holds a monthly luncheon on the third Tuesday of every month. The luncheons are a great way to network, stay up to date on Chamber events, learn new information from the guest speaker, and enjoy lunch. Luncheon fee is $12 per person and RSVP is required. We work to encourage and promote a positive and thriving economy through preserving Frostproof's unique qualities and history, while fostering a strong and effective network of businesses, dedicated to the growth and success of our city.